Bernie Sanders wins Oklahoma. Here’s how he did it. 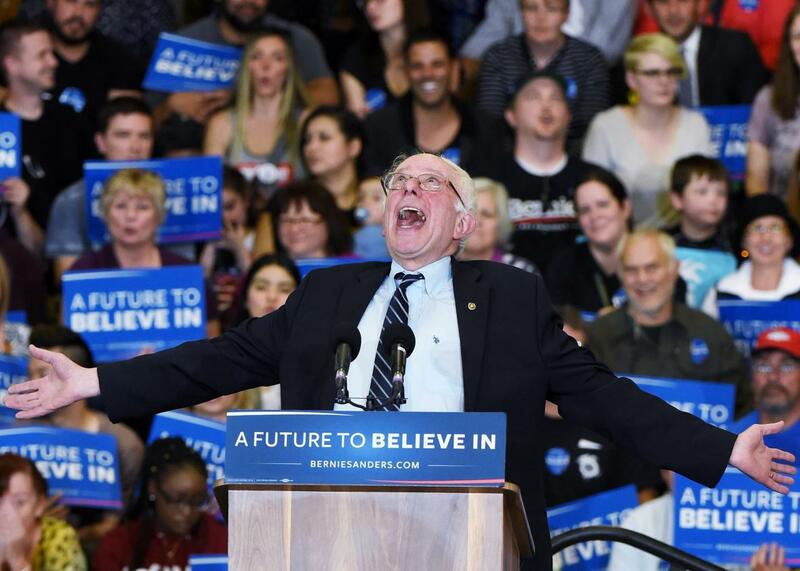 Bernie Sanders jokes around as he speaks during a campaign rally at Bonanza High School on Feb. 14, 2016, in Las Vegas, Nevada. Bernie Sanders won the Democratic primary in Oklahoma on Tuesday, giving him a victory in a region of the country that at first blush didn’t look like the friendliest territory for the Brooklyn-born senator from Vermont. Oklahoma has voted Republican in every presidential election in the past half-century and went for Mitt Romney by a 2-to-1 margin in 2012—and, earlier that same year, Democrats picked Hillary Clinton over then-Sen. Barack Obama by a 24-point margin in the state primary. For Sanders, then, Oklahoma represents a solid win on a Super Tuesday when victories were expected to be hard to come by. It’s not quiet the surprise it might seem, though. As I explained earlier today, it’s more conservative than some of its Midwestern neighbors, but it doesn’t have the same demographic makeup of its Southern ones. Roughly 75 percent of Oklahoma’s Democratic primary voters were white, according to exit polls, a far cry from the 35 percent of Democrats who voted in this past Saturday’s primary in South Carolina, where Hillary won by nearly 50 points. Based on CBS News exit polls in the state, Sanders won 55 percent of white Democrats in Oklahoma on Tuesday. Black voters, meanwhile, accounted for 14 percent of the electorate, and broke for Clinton by more than a 3-to-1 margin. Bernie made winning the Sooner State a priority, and his victory will give his team a chance to spin the results into proof that their candidate can compete in states far outside his wheelhouse. The problem with that argument, though, is that Oklahoma isn’t nearly as far out of his wheelhouse as he wants you to think. Clinton, meanwhile, notched six quick wins in the rest of the Southern states up for grabs on Super Tuesday.